DonEast Supreme Dental clinic has built a reputation for better dental care throughout the years with a philosophy to revolutionize modern dentistry from an imaginative, ground-breaking perspective towards superior patient care. Our friendly dental team provides quality comprehensive dental care to patients across Nunawading, Balwyn North, Box Hill, Blackburn North, Box Hill North and Templestowe communities. We are zealous about your dental health and believe that present day dentistry requires an all-encompassing approach combined with attention to accuracy, detail, and brilliance to address Nunawading community’s issues. Our dream is to furnish Nunawading community with the perfect place for their family’s dental needs and for that healthy smile. We provide a wide scope of dental services and stay abreast with the latest state of the art technology. So, whether you are contemplating on your next dental move or truly preparing for attractive dental care, your next stop is DonEast Supreme Dental. At Don East Supreme Dental Clinic, we deliver proficient, kind-hearted, and first-class services. This is attainable through customised treatment, bolstered by proof-based dentistry, informed science, and forefront innovation while comforting our patients and guaranteeing they get value for their money. Tooth-coloured, non-metal fillings are obviously better than the metal filling that you are used to. Tooth-coloured fillings seal the tooth better, bond the rest of the tooth together bringing about a more grounded tooth, cause less of your natural tooth structure to be evacuated to put the bonded restorations, and look extraordinary. Endodontics (Root Canal) Therapy is the expulsion of the pulp tissue from the tooth. The pulp tissue alludes to the nerve and blood vessels of the tooth. Endodontic Therapy might be important to spare your natural tooth if the pulp tissue is irreversibly harmed by microscopic organisms related to decay, profound filling, tooth crack or injury, or periodontal illness. Covering and supporting a frail or broken tooth with a crown can make your tooth more grounded and enhance its appearance. It can likewise be utilised to join a bridge, re-establish a dental implant, or cover teeth that are discoloured or ineffectively moulded. Enhance your smile and boost your poise through natural teeth whitening. When we asked individuals what they needed to see when they smiled, the appropriate response was consistent! They needed more white healthy teeth. 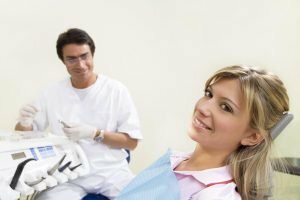 At DonEast Supreme Dental, our dentists represent authority in the prevention, diagnosis, analysis, and treatment of an assortment of dental conditions which may include routine dental tests, for example, cleanings, or something increasingly complex like a root canal. Regardless of whether we’re treating your cavity or fixing a damaged tooth, DonEast Supreme Dental dentists utilise the most up to date dental technology procedure, to make your visit increasingly comfortable for you, with long-lasting outcomes. At DonEast Supreme Dental, we don’t settle down for a smile…. We build a total magnificent look. Call (03) 9842 1475 or visit us at 1062 Doncaster Road in Doncaster East.